From the Dharma at Times of Need symposium, the keynote address delivered by Rev. Dr. Seigen Yamaoka, professor of Shin Buddhist Studies at the Institute of Buddhist Studies. Prof. Yamaoka’s moving keynote touched on his own personal experiences with the Dharma as a Jodo Shinshu minister, former bishop of the Buddhist Churches of America, dedicated scholar and inter-religious advocate, and ministering to Buddhist in the United States for over four decades. Prof. Yamaoka has been influential in bringing a uniquely American approach to ministry to Japan, helping to create a new Practical Shin Buddhist Ministry program at Ryukoku Univeristy in Kyoto. 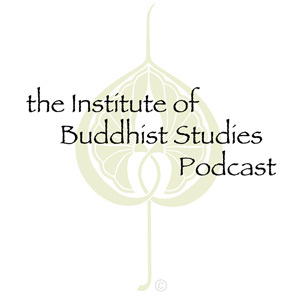 The Dharma at Times of Need symposium sought to bring together the voices and experiences of Buddhist ministers and Buddhist chaplains and was co-hosted by the Institute of Buddhist Studies and Harvard Divinity Schools. For more information on the symposium, click here. Originally recorded 3 May 2013. (c) 2013 Institute of Buddhist Studies and Seigen Yamaoka. I will revisit “The Transmission of Shin Buddhism in the West” as this speech reminded me of the compassionate work of Amida through real life experiences.